We welcome the opportunity to discuss your child's future at Countryside Academy. 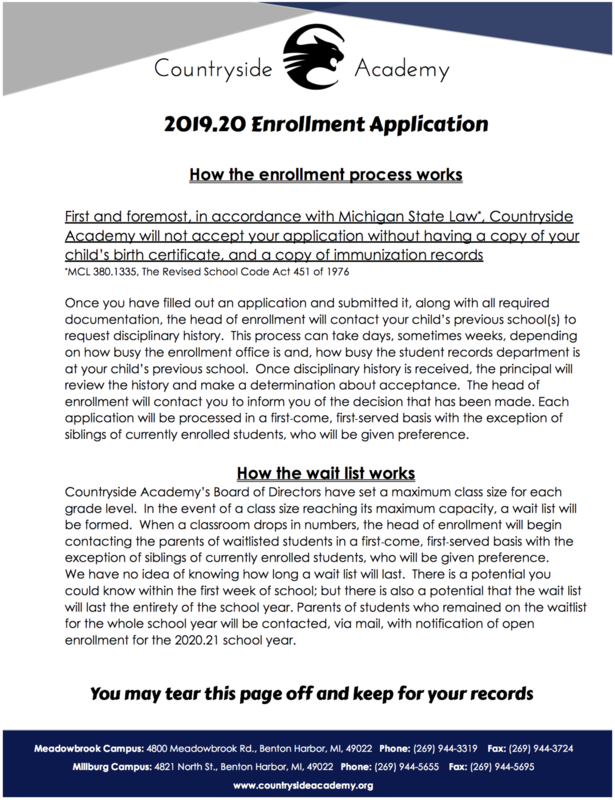 The printable version of the 2019-20 application is available for download below. Click on the image of the application to open in your browser then download or print the pdf.